I truly believe that the body was created perfectly and that it doesn’t need much help – it just doesn’t need interference. The purpose of chiropractic is to help your body work properly. Whether you’re looking to become pain-free without pills, need a stronger immune system, or are ready to choose a healthy new start for every member of your family – my team is here to help you achieve your goals. The right choice – right now – can deliver a lifetime of good health. When I got to chiropractic school most of my classmates had amazing stories of how chiropractic changed their lives – so much so, that they were compelled to become chiropractors themselves. I didn’t have such an experience. All I knew was that I wanted to help people naturally without the use of drugs or surgery. So with little exposure to chiropractic, I took a huge leap of faith and applied to Chiropractic School and I thank God every day that I did. I learned how chiropractic works with your body’s inborn, innate ability to self-heal and self-regulate through influencing the nervous system – clearing the way for optimal performance. With this, it became absolutely clear that this is what I was meant to do. When you love biology and life science as much as I do, everyone assumes you should go to medical school. As much as I thought this was my path, I never subscribed to the idea that drugs were the solution to people’s health problems. I have always believed that if you take care of your body, your body will take care of you. That simple truth led me to Chiropractic – the single largest, drugless, health profession in the world. 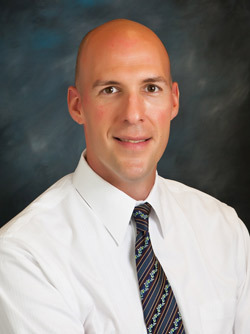 I graduated from Cleveland Chiropractic College in 2001 with my Doctor of Chiropractic degree and a B.S. degree in human biology. Where most chiropractic schools teach one adjusting technique, Cleveland taught five. I’ve always subscribed to the philosophy that the more you know the more you can do – and the better you can help. One of my biggest influences while in school was Fred Barge. His mastery of chiropractic inspired me to learn all I could and “dig deep” into the philosophy of Chiropractic. Before I accept any patient, I make sure I can help them. That determination is made after a comprehensive evaluation and consultation. I then make recommendations based on each individual’s specific needs – so that they can make the most informed decisions. We become partners working together toward optimal health. I am very proud to have a family practice – our goal is to make Everyone feel welcome and cared for. The patients we care for in our office range from newborn babies to people well into their nineties. Family visits are encouraged as a healthy way to jumpstart your week. It is important to me that every person I see in my office is treated with respect – and as a person, not a number, which is how people are often made to feel in the current healthcare system. If I can get each person I meet to understand one thing, it’s this: The body is a perfect eco system. Maintaining it by what we eat, how we move, what we think, and the degree of nerve supply our body gets is vital in moving toward a healthier state. In order to be well we have to eat well, move well, think well and keep a sound nerve system. I workout at least four times a week to stay in shape and receive regular weekly adjustments to stay healthy. If I feel a little “run down” I get adjusted more often to “boost” my immune system and help my body recover faster. I believe that we should all have the information we need to make the best decisions for ourselves and for our families. This is why I host regular workshops and seminars on everything from pain relief to vaccines – to help arm you to make the best choices. The body heals from above down, and from the inside out. Our goal is to do everything in our power to enable this perfect process, without the use of outside stimulants or suppressors. Call Coast Family Chiropractic today! Thanks for visiting our site. I look forward to meeting you in person and learning how we may be of service to you. Give our office a call at (949) 722-7572, or email me using the link below to arrange a time for us to explore your options.